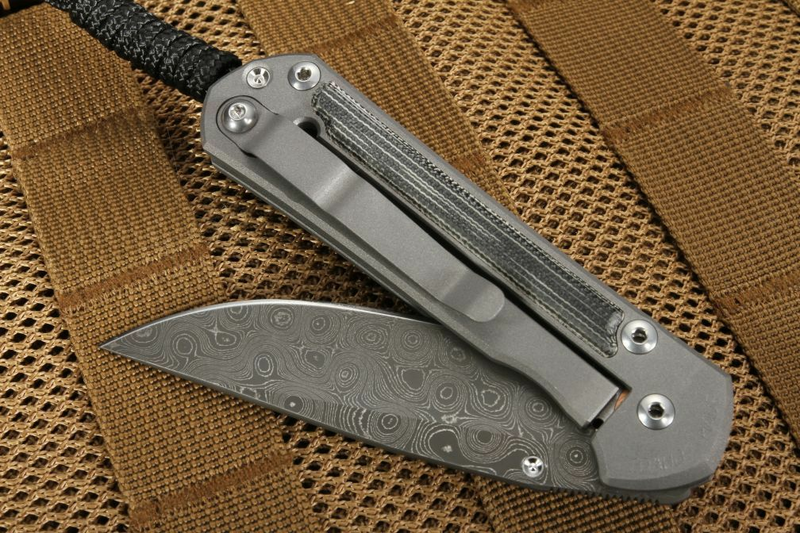 At a mere 2.9 ounces, the Chris Reeve Small Sebenza 21 Micarta Inlay Stainless Chad Nichols Raindrop Damascus knife is compact, stylish and durable. 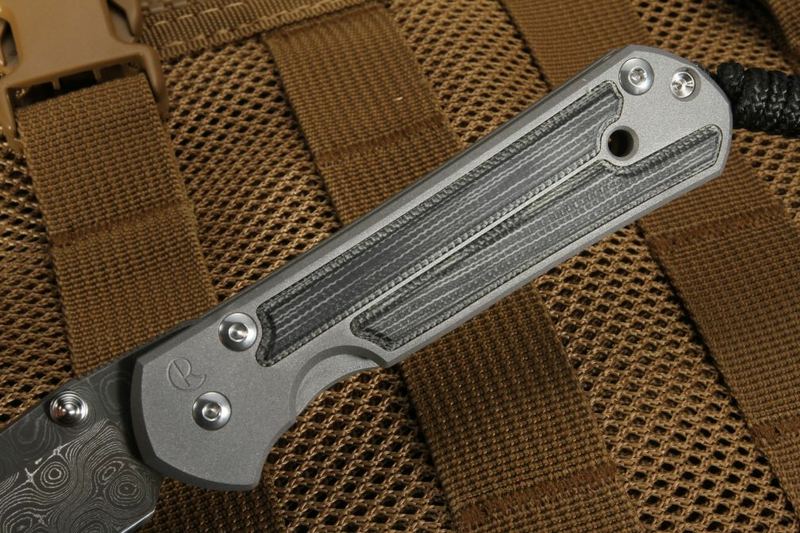 Chris Reeve Sebenza knives represent the standard for hard-use everyday carry folders. 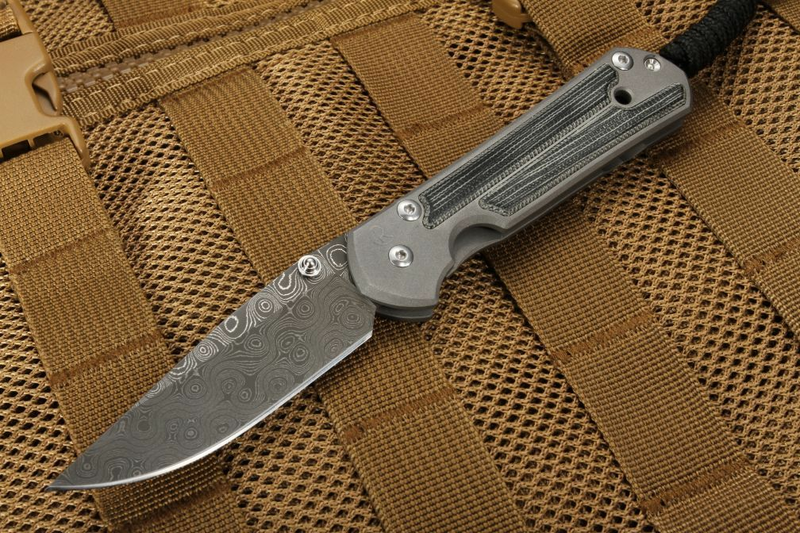 A Chad Nichols stainless raindrop pattern Damascus blade is the signature feature of the 21 Micarta and this knife also has a blasted titanium pocket clip mounted for tip up carrying. 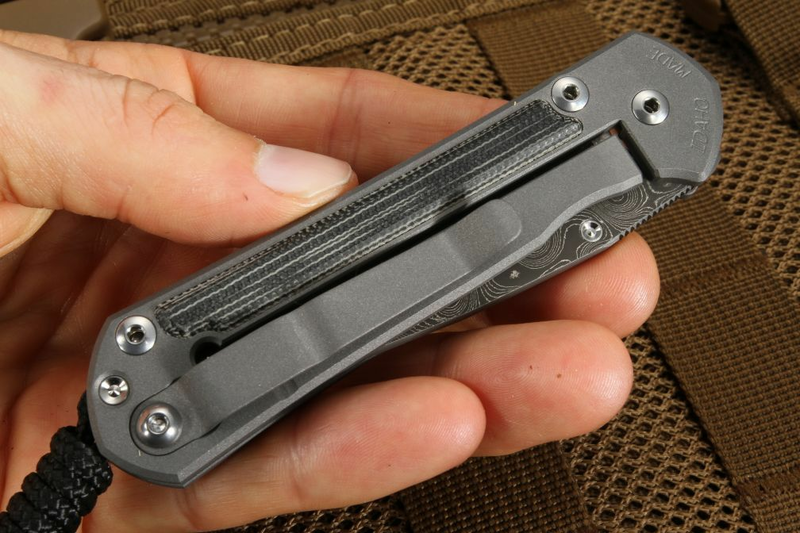 The blade size on this small sebenza is 3 inches with the total size of the knife measuring 6.8 inches. 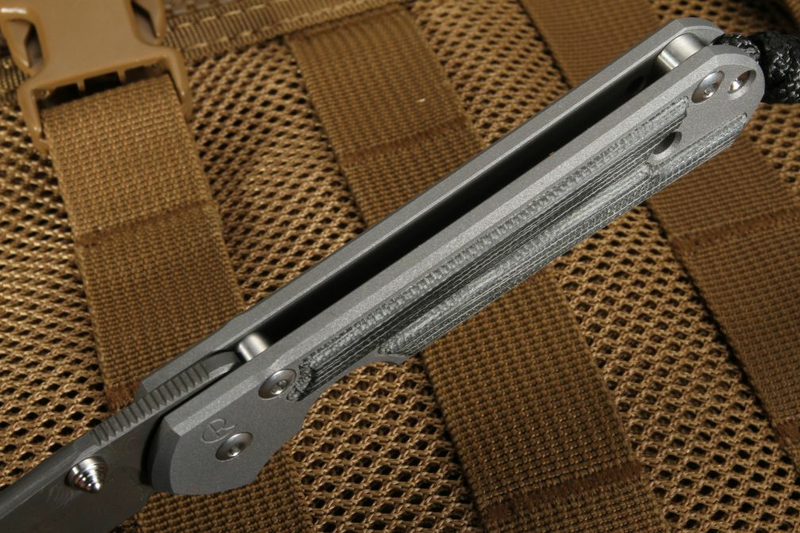 The titanium used in the construction of this knife accounts for its light weight and the raised black canvas micarta provides a positive grip. 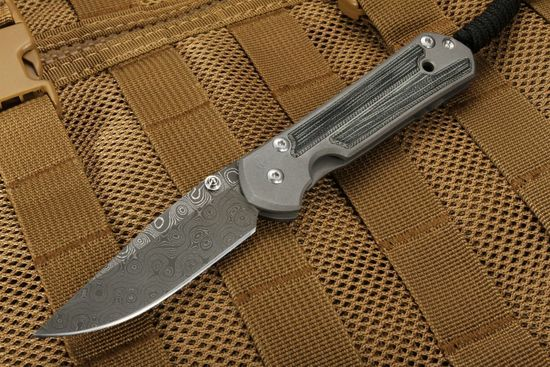 This knife is another example of a great Chris Reeve knife and will be another great knife for your collection. After buying and selling many CRKs, the small seb 21 has always been my go-to. perfect size for medium hands, pocketable, and up to most edc tasks. This is the first time i've owned a damascus blade and I must say it's absolutely gorgeous. 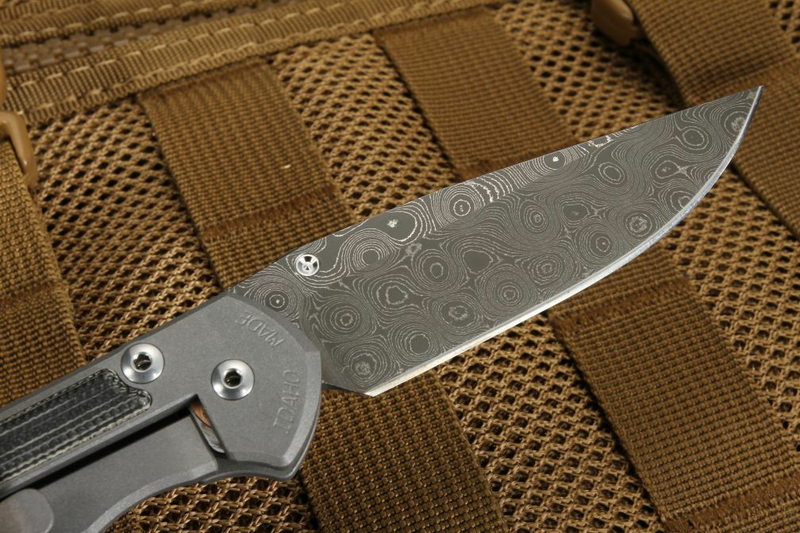 Blade came sharp, centering is dead on, and pattern is beautiful. Went with micarta bc I plan on carrying this blade and the damascus added gives it that nice mix of beauty and utility. I highly recommend this blade or any CRKs, you won't be disappointed!! 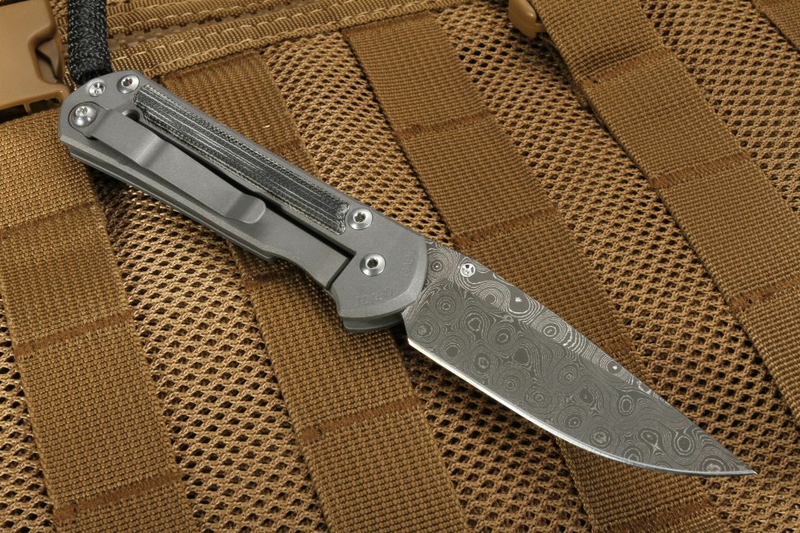 I think Chris Reeves knifes are the best and this site often offers you nice models.Their cooperation with Fedex is perfect;fast and easily to follow, they even give a indication when to expect your shipment .